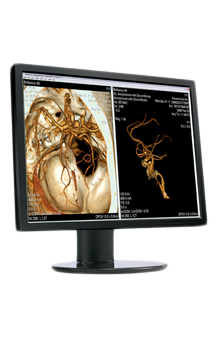 With an astonishing 800:1 contrast ratio, the L200ME-BF is ideally designed for PACS review, Modality Image Viewing, or as a PACS Work list Display. The 20.1" diagonal LCD with 2MP native resolution accepts multiple resolutions in both digital and analog modes. The result is an extremely versatile display for new environments and as a replacement for color CRT monitors.